We have such a variety of events and activities around our area. From art to music and everything in between. If you are looking for entertainment for kids or just the adults you will find it all around South Carolina. Through January 24 – “The Marvelous Wonderettes” at the Chapman Cultural Center in Spartanburg. The setting is a 1958 prom where you meet four girls with big hopes and dreams and who will entertain you with songs of the period. For more information call (864) 542-ARTS or visit http://www.chapmanculturalcenter.org/events.php?id=1685#sthash.b5Dpy2EW.dpbs. Through January 27 – “Awakening Your Psyche” at the Spartanburg Public Library headquarters location in Spartanburg. This exhibit is sure to mesmerize you “as if entering the space of your own mind.” For more information call (864) 596-3500 or visit http://www.infodepot.org/zS1/Exhibits.asp#/?i=1. Through January 31 – “The Forgotten War: Korea 1950-1953” at the Upcountry History Museum on the Furman College campus in Greenville. This exhibit commemorates the service, sacrifice, and great contributions of those who fought in this forgotten war. For more information call (864) 467-3100 or visit http://www.upcountryhistory.org/changing-exhibits/current-exhibits/. Through February 11 – “Jo Ann Taylor: Art of Aquarius” and “Brian MacCormack’s Participaintings” at the Pickens County Museum of Art and History in Pickens. Come see the work of these two fabulous artists. For more information call (864) 898-5963 or visit http://www.visitpickenscounty.com/vendor/108/pickens-county-museum-of-art-history/. Through February 14 – “Of the Earth” at the Dalton Gallery in the Center for the Arts in Rock Hill. This exhibit displays the work of Ben Grant, Janis Hughes, and Richard Siegel. For more information call (803) 328-2787 or visit http://www.yorkcountyarts.org/#!visual-arts/c6ar. January 21 – Art Walk Reception for “Dian Hammett and Lalage Warrington” at the Artists’ Guild Gallery of the Chapman Cultural Center in Spartanburg. During the art walk, be sure to see the works of these two great artists. For more information call (864) 542-2787 or visit http://www.chapmanculturalcenter.org/news-press-releases.php?news_id=1055#sthash.k8NSmRDS.dpbs. January 22 – 24 – Remodeling Expo at the TD Convention Center in Greenville. If you’re looking to do any remodeling, this is the place to come for expert advice and/or services. For more information call (800) 374-6463 or visit http://tdconventioncenter.com/events/greenville-remodeling-expo-2/. January 23 – Winter Bluegrass Jubilee at the Pickens High School in Pickens. Enjoy music by the Lonesome River Band, Last Road Bluegrass, West End String Band, and more, as well as attend a workshop or two. For more information call (864) 878-4257 or visit https://www.facebook.com/WinterBluegrassJubilee/. January 23 – Wedding Festival at the Spartanburg Memorial Auditorium in Spartanburg. If you are getting married, this is the place to come to talk with a variety of vendors for all your planning needs. For more information call (800) 745-3000 or visit http://weddingfestivals.com/. January 28 – Opening Reception for “Cognitive Dissonance” at the Spartanburg Art Museum in Spartanburg. View the work of nine artists who present works that show the imperfect side of life. For more information call (864) 582-7616 ext. 254 or visit http://www.spartanburgartmuseum.org/spartanburg-art-news/216/Opening+Reception+for+Cognitive+Dissonance. January 28 – 31 – Upstate South Carolina Boat Show at the TD Convention Center in Greenville. If you are in the market for a boat, come out and see the vast variety that will be displayed and talk with the vendors about your needs and wants. For more information call (864) 233-2562 or visit http://tdconventioncenter.com/events/upstate-south-carolina-boat-show-3/. January 29 – Monster Jam at the Bon Secours Wellness Arena in Greenville. See stunts never before performed with big trucks. For more information call (864) 241-3800 or visit http://bonsecoursarena.com/event/monster-jam-5-2/. January 29 – “Polish Baltic Philharmonic Orchestra” at the Brooks Center for the Performing Arts in Clemson. Straight from Gdansk, this group founded in 1945 is the largest musical institution in Northern Poland and is sure to provide you with an evening of enjoyable music. For more information call (864) 656-7787 or visit http://www.clemson.edu/centers-institutes/brooks/events/event.html?eventid=469372. January 30 – Wedding Festivals Bridal Show at the TD Convention Center in Greenville. If you are getting married or thinking about it, this is the place to talk with a variety of vendors about planning, flowers, photography, invitations, attire, and much more. For more information call (800) 997-2499 or visit http://weddingfestivals.com/. February 2 – “A Tribute to Benny Goodman: The Julian Bliss Septet” at the Brooks Center for the Performing Arts in Clemson. Enjoy the some of the greatest sounds of swing from the 30’s and 40’s with a bit of a modern twist. For more information call (864) 656-7787 or visit http://www.clemson.edu/centers-institutes/brooks/events/event.html?eventid=469448. February 3 – 7 – Ringling Brothers and Barnum & Bailey Circus at the Bon Secours Wellness Arena in Greenville. See some of the most majestic animals, witness some of the most amazing feats, and be dazzled by all the circus has to offer. For more information call (864) 241-3800 or visit http://bonsecoursarena.com/event/ringling-brothers-2/. February 4 – “Peter Rabbit Tales” at the Brooks Center for the Performing Arts in Clemson. In celebration of Beatrix Potter’s 150th anniversary, the magical world of the author will come alive for the whole family. For more information call (864) 656-7787 or visit http://www.clemson.edu/centers-institutes/brooks/events/event.html?eventid=469387. February 4 – “Voices in American Art” at the Chapman Cultural Center in Spartanburg. This educational series will engage attendees on the subject of fine art in America. For more information call (864) 542-2787 or visit http://www.chapmanculturalcenter.org/events.php?id=1737#sthash.lbcaySiA.dpbs. 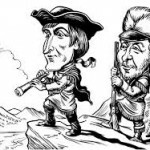 February 5 – “An Evening with Meriwether Lewis” at the Fine Arts Center in Greenville. Brian Fox Ellis of Chicago will perform as Meriwether Lewis who will take you on the greatest adventure of his life. Event will include fabulous desserts. For more information call (864) 244-1499 or visit http://greenvillechautauqua.org/events/winter-chautauqua/. February 6 – “Chamber Concert by the Foothills Philharmonic” at the Cannon Center in Greenville. Enjoy an evening of free entertainment by this wonderful group of musicians. For more information call (864) 268-8743 or visit http://www.foothillsphil.org/calendar.htm. February 6 – South Carolina Horse Expo at the T. Ed Garrison Arena in Pendleton. Learn, show, network, or be entertained with an arena obstacle challenge at this annual event. A trail ride will coincide with this event. For more information call (803) 230-8810 or visit http://www.schorsemenscouncil.org/2016-expo.html. February 6 – Sweetheart Charity Ball at the Hyatt Regency in Greenville. Event will include cocktails, hors d’ oeuvres, a three course dinner, a silent auction and entertainment by a comedian and music for dancing all to benefit Meals on Wheels. For more information call (864) 233-6565 or visit http://web.greenvillechamber.org/events/eventdetail.aspx?EventID=5369. 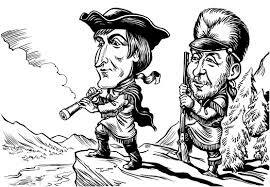 February 6 – 7 – “Meriwether Lewis: Journey into the Unknown” at Wade Hampton High School in Greenville. Learn about the adventures of Meriwether Lewis as performed by Brian Fox Ellis of Chicago who will take you on a journey you won’t soon forget. For more information call (864) 244-1499 or visit http://greenvillechautauqua.org/events/winter-chautauqua/. Through January 23 – “Wait Until Dark” at the Aiken Community Playhouse in Aiken. A con man and two ex-convicts are in search of a mysterious doll that leads them to a couple who will prove to be their biggest match. For more information call (803) 648-1438 or visit http://aikenplayhouse.us/. Through February 14 – “Wintertime” by Vernon Grant at the Museum of York County in Rock Hill. Enjoy viewing some of this famous local artists works revolved around wintertime. For more information call (803) 329-2121 or visit http://www.chmuseums.org/news/250/. Through February 28 – “Only Owls” and “Carolina Landscapes” at the Museum of York County in Rock Hill. Be sure to visit the museum to learn about owls and participate in owl related activities, as well as enjoying the fabulous art work of Al Beyer. For more information call (803) 329-2121 or visit http://chmuseums.org/. January 21 – “The Prince and the Pea” presented by the Children’s Theatre of Charlotte at the Clover School District Auditorium. Adults and children alike will enjoy this favorite fairy tale by Hans Christian Andersen. For more information call (803) 810-8000 or visit http://www.clover.k12.sc.us/csda. January 22 – “Junior Brown” at the Newberry Opera House in Newberry. For more information call (803) 276-6264 or visit http://www.newberryoperahouse.com/. January 26 – “Madame Butterfly: An Opera by Puccini” at the Newberry Opera House in Newberry. Enjoy an evening at this beautiful opera. For more information call (803) 276-5179 or visit http://www.newberryoperahouse.com/. January 31 – Super Game Day at the Main Street Children’s Museum in Rock Hill. Wear your favorite team’s colors and spend the day participating in games and activities throughout the museum. For more information call (803) 327-6400 or visit http://chmuseums.org/event/1901/. February 4 – “A Closer Walk with Patsy Cline” at the Clover School District Auditorium. Through this musical you will hear many of your Patsy Cline favorite, all while learning about the life of this famous musician. For more information call (803) 810-8000 or visit http://www.clover.k12.sc.us/Page/10424. February 4 – 7 – Antiques in the Heart of Aiken at the Aiken Center for the Arts in Aiken. Visit with a variety of dealers, restoration experts, and even attend some lectures. For more information call (803) 641-9094 or visit http://www.visitaikensc.com/calendar/event/annual_antiques_in_the_heart_of_aiken_show_sale_2015. February 5 – 7 and 12 – 14 – “Almost Maine” at the Rock Hill Community Theatre in Rock Hill. Enjoy this delightful tale of a town where everyone falls in and out of love unexpectedly and often in very hilarious ways. For more information call (803) 326-7428 or visit http://www.rockhilltheatre.org/. 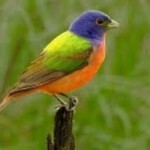 February 6 – Beginning Birders Workshop at the Museum of York County in Rock Hill. Learn how to identify the birds at your feeder as well as those you see on a hike. For more information call (803) 981-9182 or visit http://chmuseums.org/event/1902/. Through January – “Creating the Carolinas” at the Horry County Museum in Conway. Learn how the boundaries of South Carolina were created. For more information call (843) 915-5320 or visit http://www.horrycountymuseum.org/news/creating-the-carolinas/. January 23 – Smokehouse Day at the L.W. Paul Living History Farm in Conway. See smokehouse demonstrations, soap making, blacksmithing, and more. For more information call (843) 365-3596 or visit http://conwayscchamber.com/member-promotions/smokehouse-day/. January 27 – “Biogeography of the Carolinas” at the Coastal Discovery Museum on Hilton Head Island. 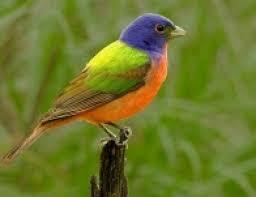 Learn about the diversity of plants and animals in the various habitats around South Carolina. For more information call (843) 689-6767 ext. 223 or visit http://www.hiltonheadisland.com/events/event/the-biogeography-of-the-carolinas-at-the-coastal-discovery-museum/. January 29 – “A Night in the Valley” at Trident Technical College in Charleston. This black tie event will include a wine dinner and auction to support student scholarships, the student emergency fund, and other critical needs. For more information call (843) 574-6580 or visit http://www.tridenttech.edu/foundation/events/fd_ANIV.htm. January 29 – 30 – National Shag Dance Championship Preliminaries at the Spanish Galleon and OD Beach & Golf Resort in North Myrtle Beach. Enjoy some of the best shag dancing in the world at this annual event. For more information call (843) 222-6706 or visit http://www.shagnationals.com/. January 29 – 31 – Charleston Boat Show at the Charleston Area Convention Center in North Charleston. Attend workshops offered by various anglers, even one for kids; participate in a Charleston Pirate Tour to look for a treasure; and visit with the vendors. For more information call (864) 250-9713 or visit http://www.thecharlestonboatshow.com/. 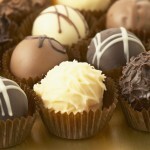 January 30 – Chocolate Walk in historic downtown Conway. 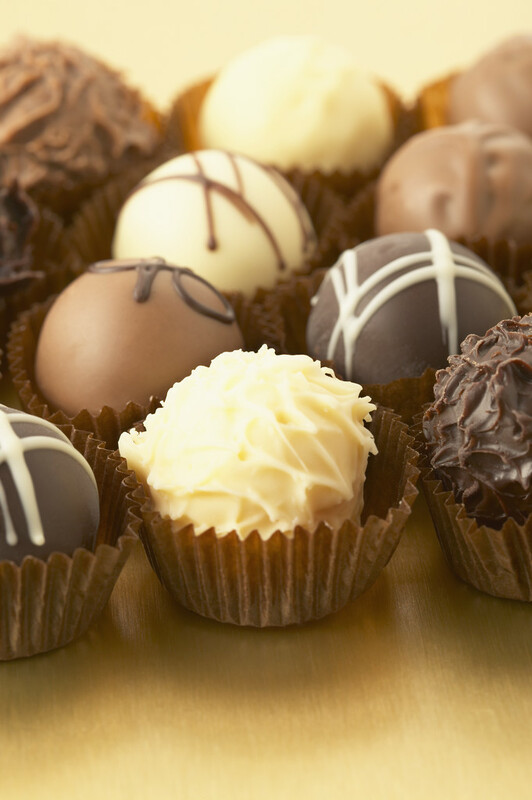 If you love chocolate, this is one event you don’t want to miss! For more information call (843) 248-6260 or visit http://events.r20.constantcontact.com/register/event?oeidk=a07ebx5nm3n2505244f&llr=cgi6bzdab. January 30 – Hilton Head Snow Day at the Shelter Cove Community Park on Hilton Head Island. This family event will include a snow field, inflatable rides, and entertainment. For more information call (843) 681-7273 or visit http://www.islandreccenter.org/events/snow-day. January 30 – 31 – Battle of Charleston Reenactment at Legare Farms on Johns Island. The event will be a timeline of American history to include the Pirate era, the American Revolutionary War, the Civil War, both World Wars, the Korean War and the Vietnam War. For more information call (843) 559-0788 or visit http://www.battleofchas.com/reenactors2.htm. January 31 – Low Country Oyster Festival at Boone Hall Plantation in Mount Pleasant. Come out and eat your fill of oysters, enter a contest, enjoy live entertainment, and more at the largest oyster festival in the world. For more information call (843) 577-4030 or visit http://www.charlestonrestaurantassociation.com/lowcountry-oyster-festival/. February 1 – 28 – Hilton Head Island Gullah Celebration at a variety of locations on Hilton Head Island. The entire month will be filled with art, performances, food, and much more all to celebrate the Gullah culture. For more information call (843) 255-7304 or visit http://www.gullahcelebration.com/. February 5 – “Puttin’ on the Ritz” Dinner Theatre at the Charleston Area Convention Center Ballroom in North Charleston. “The talented sister act of Gracie and Lacy will present a classy performance showcasing music, glamour, and pizzazz of the Swing Era. For more information call (843) 740-5847 or visit http://www.charlestoncvb.com/events/puttin-on-the-ritz-dinner-theater-starring-gracie-lacy~10651. February 5 – 7 – Winter Coin Show at the Exchange Park in Ladson. This event will allow you to find those one of a kind coins you have been searching for, to start your own collection, or just view some of the most rare and interesting coins in the world. For information call (843) 572-3161 or visit http://www.lowcountrycoinclub.com/news. February 6 – 7 – Myrtle Beach Stamp and Postcard Show at the Clarion Hotel and Conference Center in Myrtle Beach. This show is for collectors, those interested in collecting, as well as those just interested in seeing some fabulous collections of rare and special stamps and postcards. For more information call (843) 347-0087 or visit http://www.stampshows.com/myrtlebeach_mbsc.html. February 7 – Hilton Head Bridal Show at the Westin Resort and Spa on Hilton Head Island. If you are planning a wedding, this is the place to go to find everything you need to prepare your special event. For more information call (843) 384-5378 or visit http://www.hiltonheadmonthly.com/hilton-head-weddings.